I finally got to do a little deadline – less sewing. It’s been a while, let me tell you. I pulled out the quilt for my friend Cara, meamom, who is part of a traveling quilt group I’m in, #quiltjourney. It’s been a while since I’ve worked on one of these quilts for all number of reasons. But I finally got a chance. Cara gave us permission to made a row that we thought represented ourselves and was roughly in a particular color scheme. I added a bit of blue to the color scheme because that is SO me. 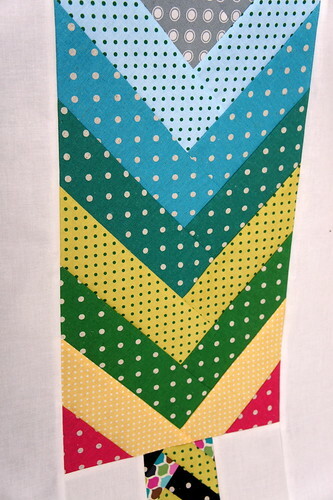 And I went with the polka dot idea and ran with it. I do love polka dots. 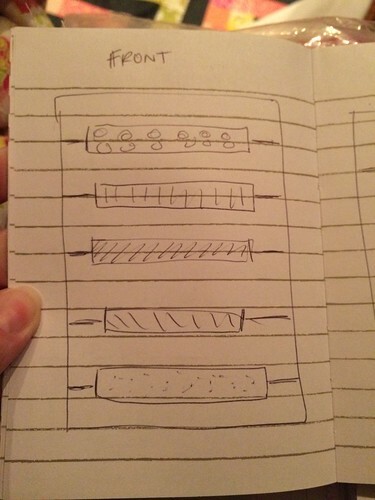 Then the decision for the pattern. 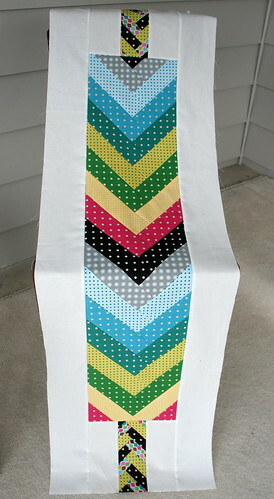 I was immediately drawn to an idea of herringbone patterns but with a color repeat like I made. 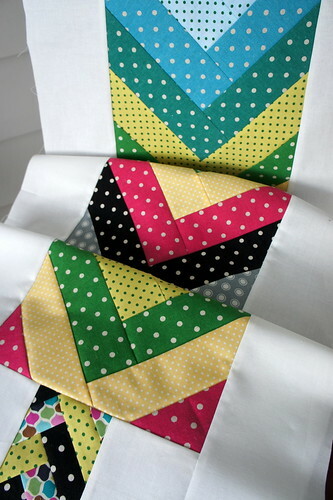 It was A LOT like make a log cabin block and I love making those. So this was really fun for me. Plus, remember…POLKA DOTS! 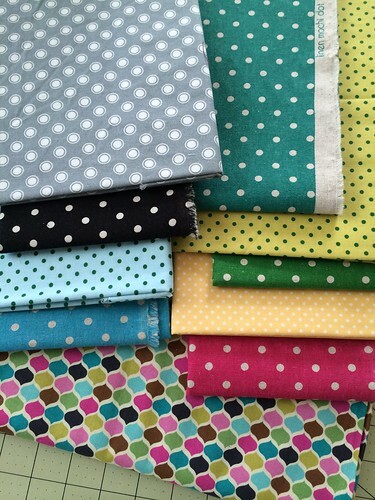 How can you not smile when you are working with polka dots?! Each bracelet requires a large center design to the row and then the little woven ends of the bracelet along with a border. So this was completed in sections just like that. 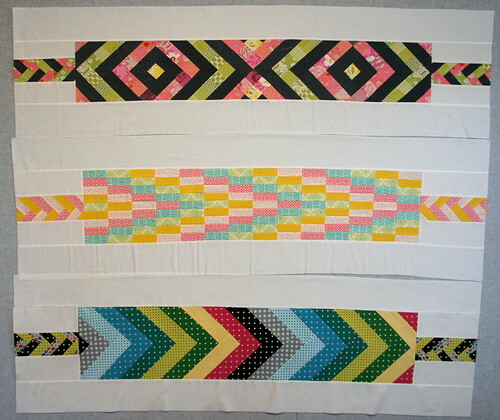 I made the center, then paper pieced the ends, and finally added in all my border pieces for a 60″ x 18″ row. And I’m kind of in love with it. Plus I think it is already a nice blend of the other rows. There will be three or four more rows added before we piece it together. 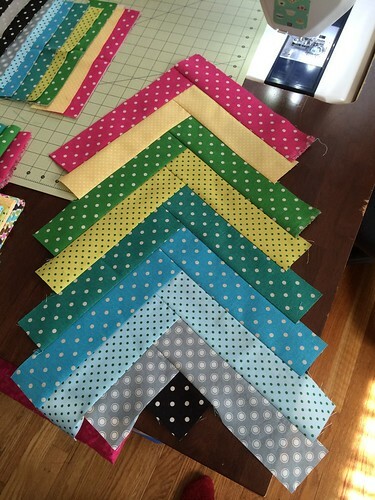 I can’t wait to see what everyone else makes and how all of our different rows look in one quilt. 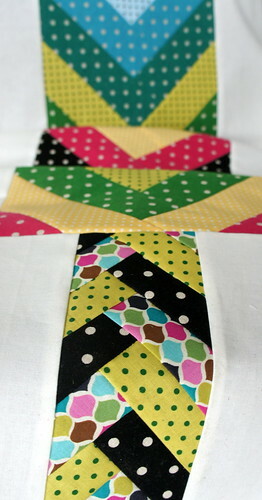 It’s such a great bee quilt idea!! And now it’s off to the next person who will add another row that I know that will be radically different from mine because I know she has a different favorite palette from mine. Hers I’m predicting will include soft greens and pinks…and tone my row down again. What a cute idea. My daughter would love this! She has a billion of these bracelets. What fun prints, I'm really enjoying seeing everyone's interpretations and color schemes on these bracelet rows. 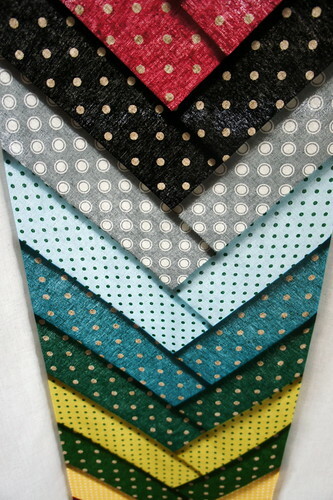 What a great way to showcase these lovely fabrics…. 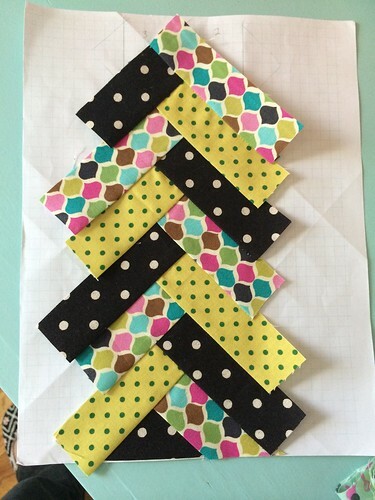 Log cabin to herringbone–I could do that 🙂 What a great idea for a quilt!